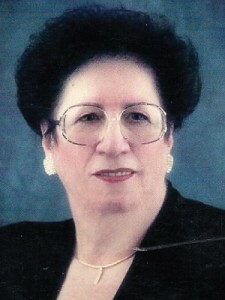 Mary Scalera was born to Italian-American parents, Alex and Frances Mastro, in the Santa Maria Adolorata parish in the near north She married John Scalera in 1956. They are the proud paren three children, Grace (Scalera) Dames, Frances (Scalera) Saraceno and Ralph Scalera. Mary originated the legendary St. Joseph’s Day Table for the benefit of the Missionary Sisters of St. Charles in 1964. It has been said that Mary Scalera is to the St. Joseph’s Day Table what Joe DiMaggio is to baseball. In 1994, Mary joined the Villa Scalabrini staff to help maintain the ethnicity of the Villa and to insure that quality and loving care would prevail. Mary’s husband and children also became very devoted to St. Joseph and assist her in every way possible. She has said “without my family there is no Mary Scalera.” Mary is also very proud of her 7 grandchildren who now also participate in her St. Joseph’s Day Table and various fund raising efforts for Villa Scalabrini. Mary’s dedication to the Italian-American community has won her recognition from several organizations. She was “Woman of the Year” for The Tanigers, a Melrose Park based Italian-American organization. The Joint Civic Committee Women’s Division presented her with the prestigious Impresa Award for outstanding leadership in the Italian-American community. Mary was also nominated for the Stardom Award from Life Services Network (LSN), a national association of Long Term Care and Senior Services providers. Another proud achievement for Mary was establishing the Cavalier’s for Villa Scalabrini. This distinguished group of distinguished businessmen have dedicated their charitable efforts to sponsoring events that will raise funds to further insure the needs of the Residents of Villa Scalabrini. The Italian American Executives of Transportation are extremely honored and proud to have chosen Mrs. Mary Scalera, as their very first Woman of the Year.